Brazil’s da Silva names successor, but will voters follow? 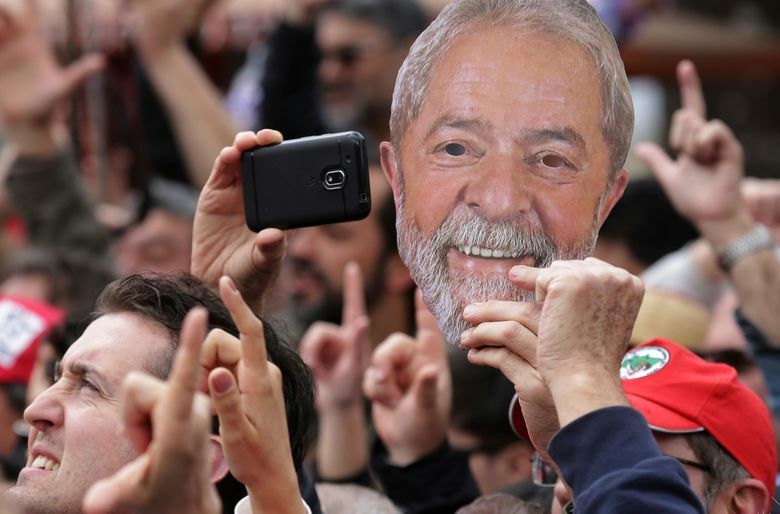 RIO DE JANEIRO (AP) — In a letter from his jail cell, former Brazilian President Luiz Inacio Lula da Silva has called on tens of millions of supporters to vote for the man he named to replace on the Workers’ Party ticket in October’s presidential election. While long anticipated, the formal designation of Haddad both settled one question and launched another: Will supporters of da Silva — who has held a clear lead in all polls — actually listen and back Haddad, who until now had relatively little appeal? The two men are close in their political views and said to be friends, but for many voters in Latin America’s largest nation they are also very different. While da Silva is easily the country’s most recognizable politician after being president between 2003 and 2010, Haddad is largely unknown outside of Sao Paulo, where he was he was mayor four years. While da Silva is charismatic and has an everyman touch, Haddad is a political science teacher turned education minister who comes off as professorial. He also got trounced in his re-election bid as mayor in 2016. Haddad, 55, also is only beginning his campaign less than four weeks before the election. On Wednesday, he was scheduled to meet with party executives in Sao Paulo in the morning and then host an event with university students in the afternoon. Carlos Melo, a political science professor at Insper university, believes the strength of the party and da Silva’s endorsement will be enough to push Haddad to a second round of voting. If no candidate gets more than 50 percent on Oct. 7, as expected, the top two finishers will meet in an Oct. 28 runoff. “He was introduced as the candidate very late. We have to see if there is time for him to get all the votes he needs,” Melo said. Before running for mayor in 2012, Haddad served as education minister under da Silva and his predecessor, President Dilma Rousseff. He was confirmed as the replacement to da Silva on Tuesday after a meeting of his party’s executive committee in the southern city of Curitiba, where the former president is jailed for a corruption conviction that led the top electoral court to bar him from running. Haddad will be joined on the ticket by Manuela D’Avila, a member of Brazil’s Communist Party. 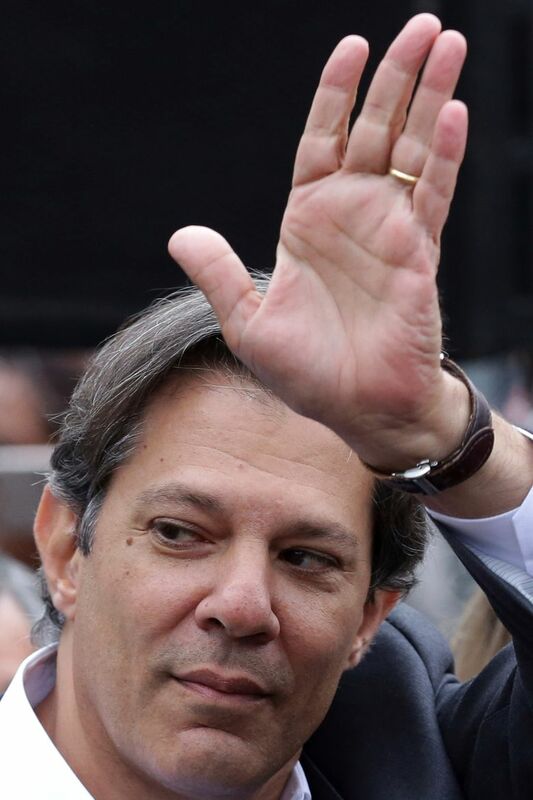 A Datafolha poll published on Monday shows Haddad in fourth place, favored by just 9 percent of those surveyed. That was a rise of 5 percentage points in just a few weeks, but still behind rightist congressman Jair Bolsonaro’s 24 percent, left-leaning Ciro Gomes’ 13 percent, centrist Marina Silva’s 11 percent and right-leaning Geraldo Alckmin’s 10 percent. The poll had a margin of error of 2 percentage points. All the 2,804 voters sampled were interviewed on Monday, days after da Silva’s candidacy was barred by the electoral court and Bolsonaro was stabbed in an incident that might put him in hospital until election day. 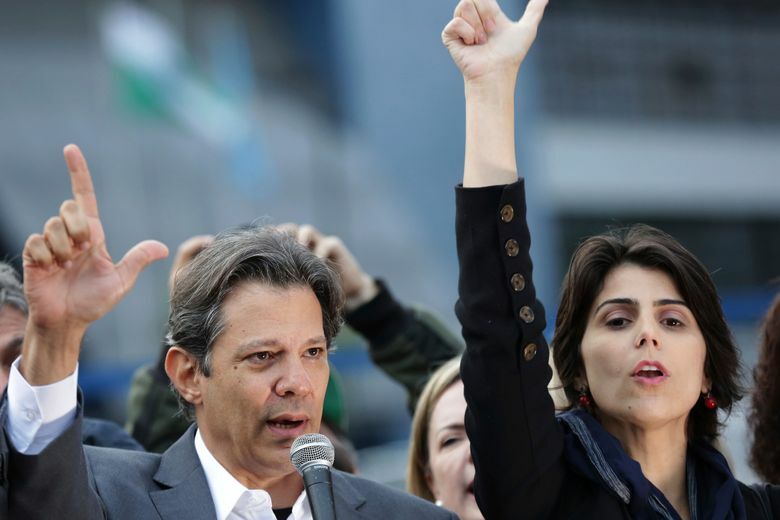 Haddad met with da Silva after the party decision, then delivered his first speech as the candidate in front the federal police building where da Silva is jailed. Da Silva is serving a 12-year sentence for trading favors with construction company Grupo OAS for the promise of a beachfront apartment. The former president has always denied wrongdoing, arguing this case and several others pending against him are meant to keep him off the ballot. The strategy of holding on to da Silva’s candidacy until the last minute caused internal fighting within the party. 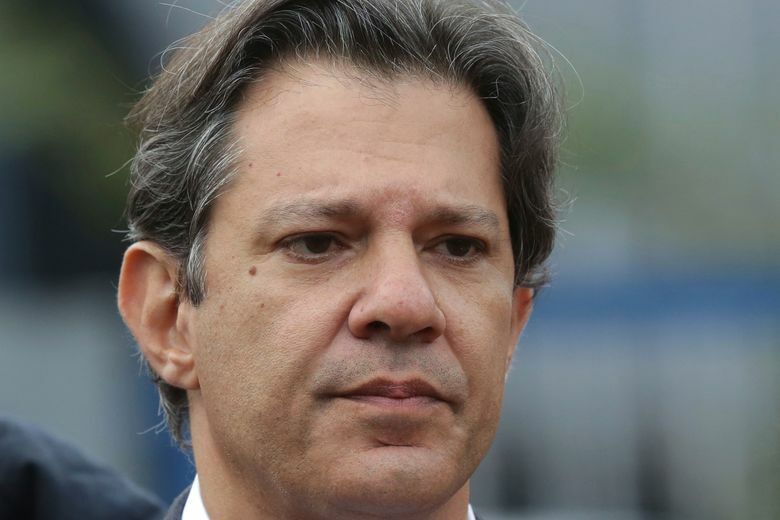 Many believed it was risky to leave Haddad so little time to present his case to voters, while others thought it was best to keep da Silva front and center as long as possible. 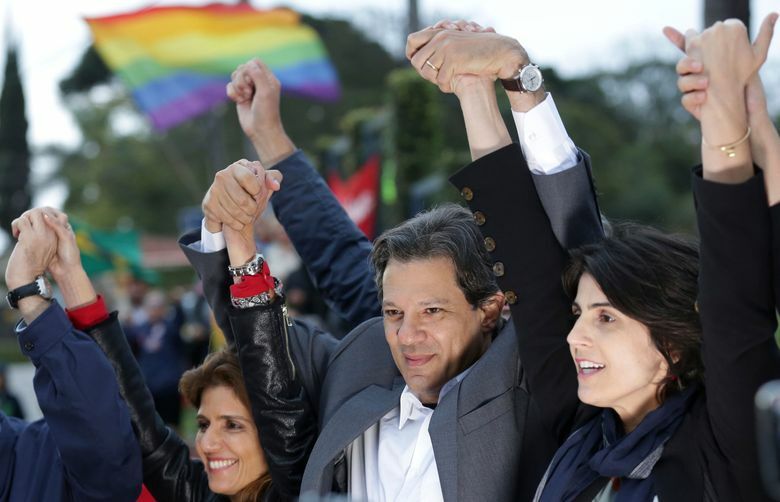 Since the beginning of the year, the Workers’ Party hinted Haddad could be the candidate. When he was named candidate for vice president in mid-August the choice became obvious.